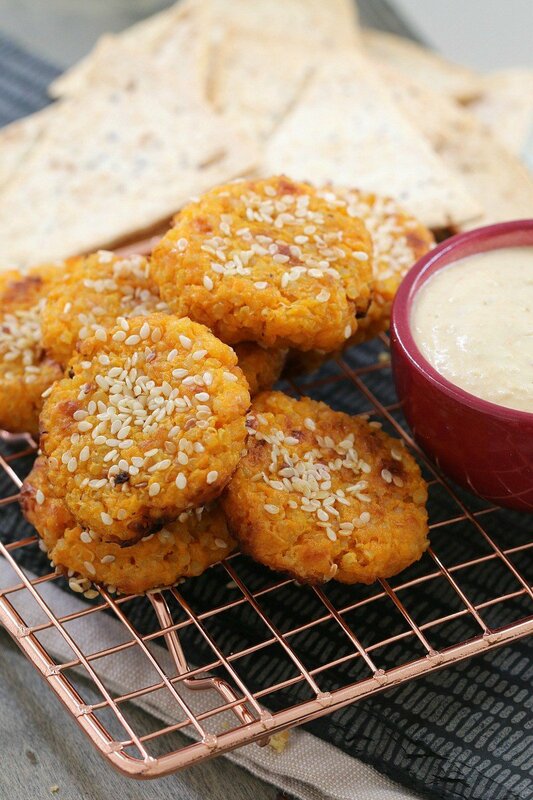 Deliciously healthy Sweet Potato Quinoa Bites oven baked to perfection! The perfect on-the-go-snack or main meal for toddlers and children. 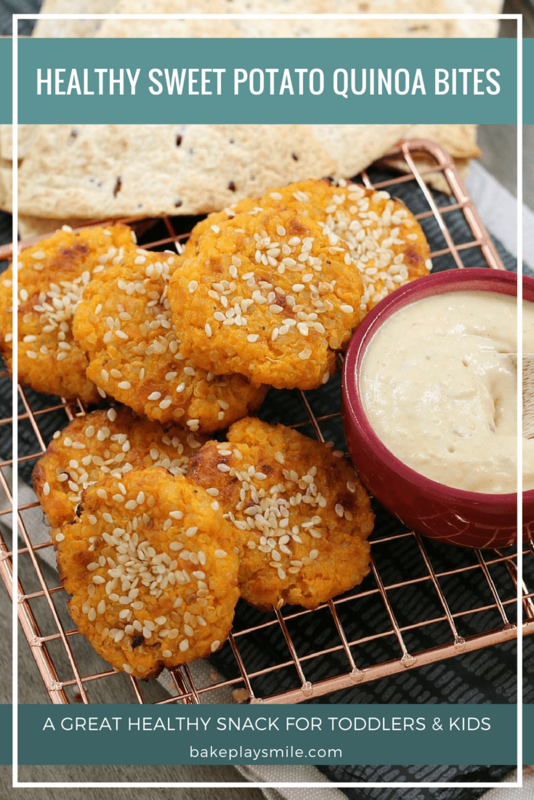 These Healthy Sweet Potato Quinoa Bites were an absolute hit with my little boy! He ate them served warm, cold, with hummus, with chopped up veggies on the side… pretty much anyway I served them up, he gobbled them down. Winner, winner! 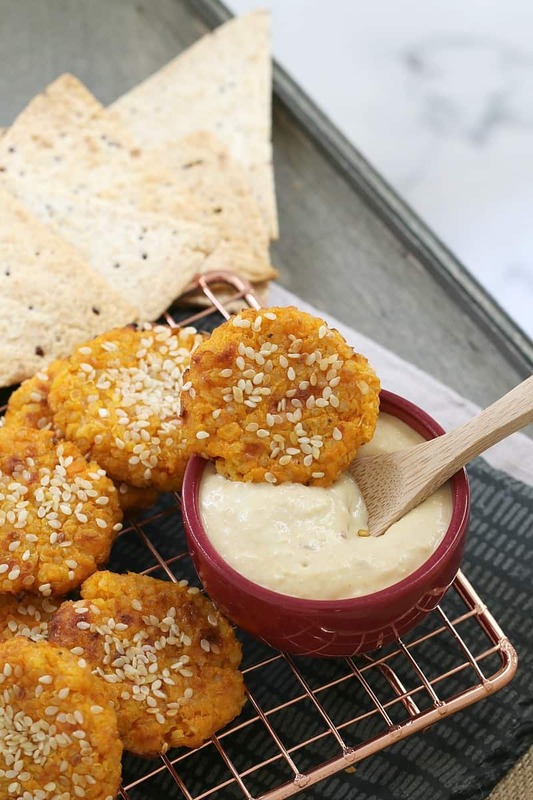 The thing I love the most about these Healthy Sweet Potato Bites is that they’re the perfect way to use up any leftover mashed sweet potato you have sitting in the fridge. Plus the added quinoa makes them a deliciously nutritious meal or snack. Oh and did I mention that these yummy little bites are oven-baked… so no yucky oily mess… just beautiful little healthy veggie bites! Annnnndd they’re freezer-friendly – so you can make a big batch and pop any leftovers into the freezer for another time. Easy peasy. 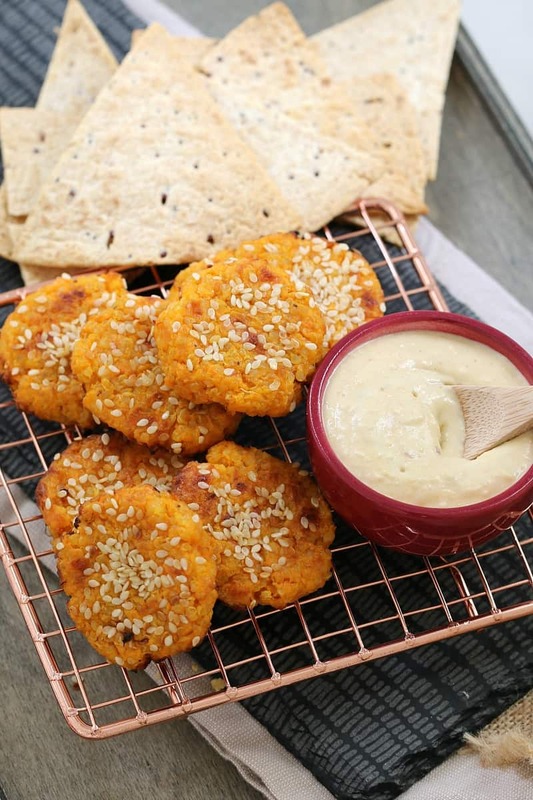 One little tip when making these Healthy Sweet Potato Quinoa Bites is to make sure that the leftover mashed sweet potato and the quinoa are cold before using them – it just makes it so much easier to shape into little mini bites! Your favourite little people are going to LOVE these!! 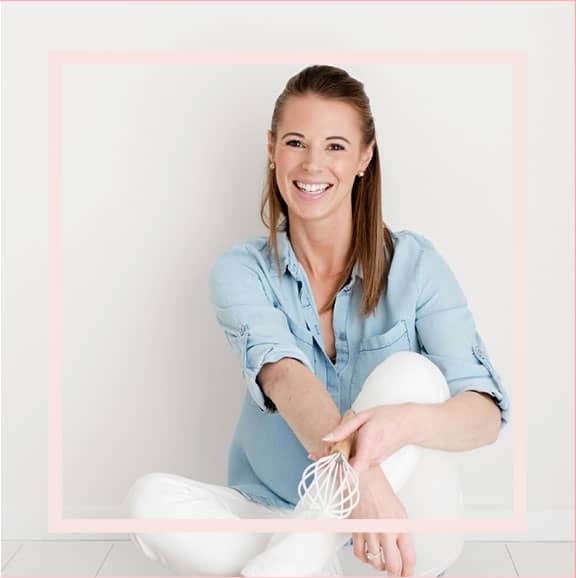 PS – if you’re after some more healthy meals and snacks for babies, toddlers and kids, check out my 60+ recipe ideas (as well as my favourite 10 kid-friendly recipes). Place the cold mashed sweet potato and the cooked quinoa into a bowl. Add the grated cheese and stir to combine. Use a tablespoon to place dollops of the mixture onto the baking tray and shape into a small pattie shape. Sprinkle with sesame seeds and lightly spray with olive oil cooking spray. Bake for 20 minutes and then turn over the bites over. Sprinkle with extra sesame seeds and lightly spray with olive oil. To make 1 cup of quinoa you will need to cook approximately 1/2 cup according to the packet instructions. You can use a combination of sweet potato and pumpkin mash. It's important that the leftover mash is cold as it makes it easier to form into patties. 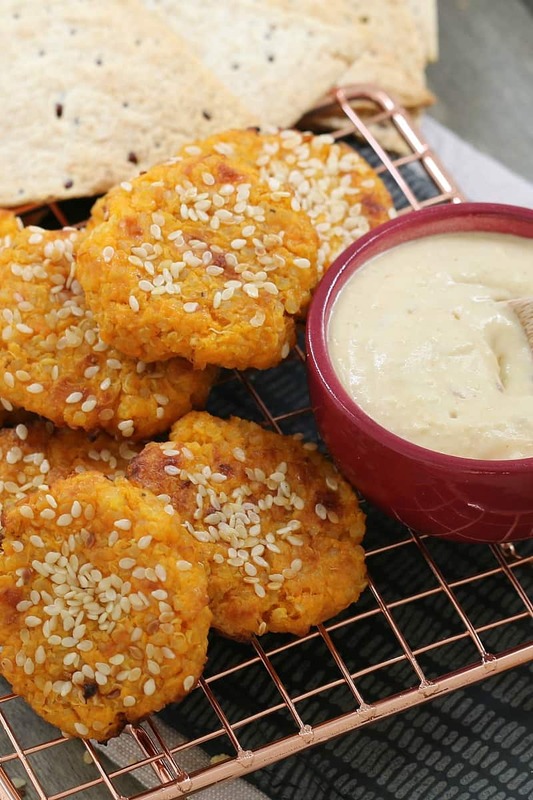 The sweet potato quinoa bites will firm on cooling (but will remain soft on the inside). Oh these look great and I know my boys would love them too! I don’t have a toddler but I might make these for myself! Sound yummy! These looks absolutely delicious!! I love sweet potato and admittedly don’t use enough quinoa in recipes so this is happening in my kitchen ASAP. 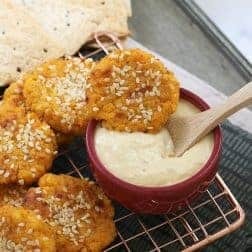 What sauce did you dip these guys in? I think I’ll add some garlic and ginger and try them in an Asian-style dipping sauce.